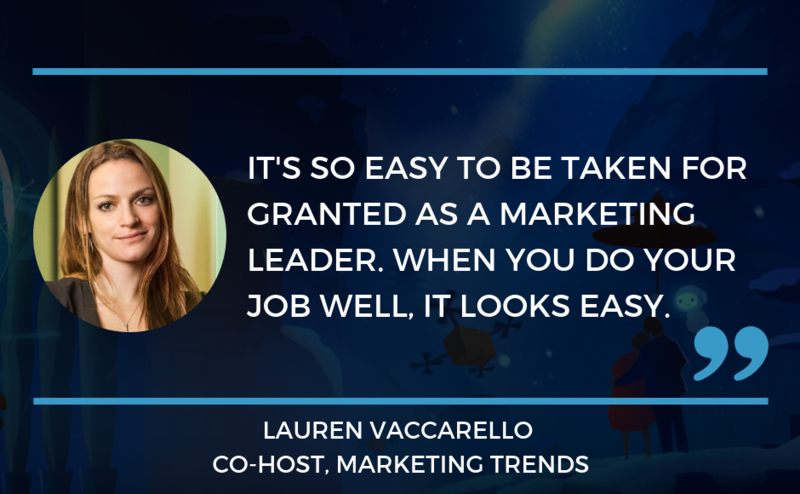 Ian and Lauren discuss Lauren's background in marketing, why CMOs get fired, and how executives can keep up with the latest trends in marketing. 00:45 - Lauren's marketing background. 4:00 - Stumbling into lead scoring. 7:30 - Blending strategic and tactical marketing. 10:15 - Why great marketing looks easy. 12:50 - Why CMOs get fired, and how to avoid it. 17:00 - How to stay up to date with the latest marketing trends. 25:20 - How to set expectations with your CEO and board. 31:40 - The dumbest things a CMO can get fired for. 36:00 - The umbrella theory of marketing. 37:00 - Why this is the best time to be a marketer.